One of the most anticipated rooms in our new house is our playroom. Having a space for the kids to house their toys and a place for them to run and create, was something we never had in our compact city condo. Trying to figure out how to design a functional space for the girls was overwhelming, and I truly did not know where to begin. 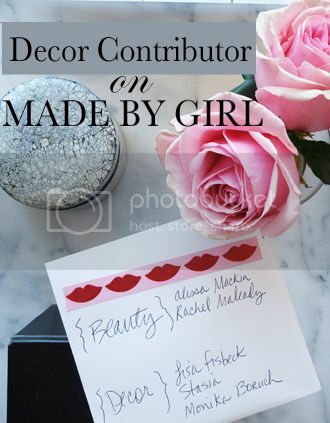 I was relieved to meet Lauren Alsup with Neat Method who immediately had some thoughts on how to make the space functional, organized and pretty. Lauren started with an overall strategy of the space. By learning what toys they play with the most, and how the space would be used- she was able to execute a functional plan. Two book shelves were filled with functional soft pull out containers allowing easy access to their kitchen toys and block, which they play with the most. 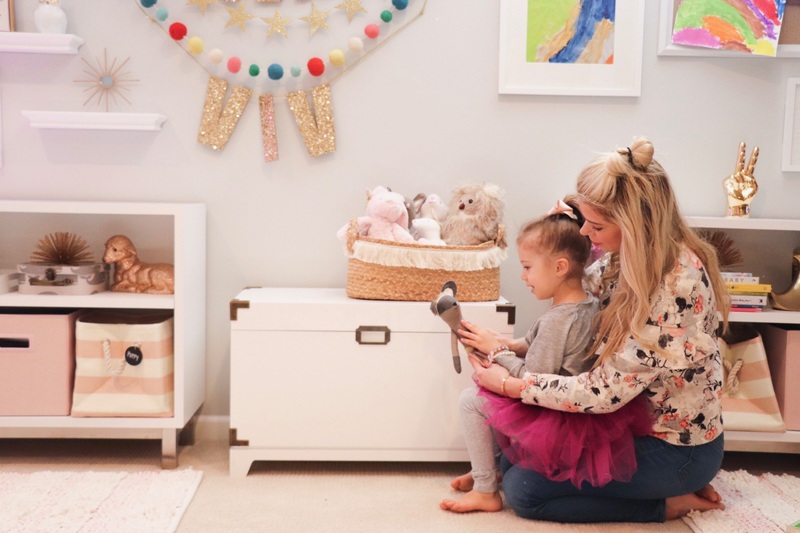 The overflow of toys were organized into a storage closet that she turned into a small walk-in toy room. Each toy collection was organized into easy pull-out bins and labeled, allowing the girls easy access to their art supplies and toys. Ledges were installed to display books and hooks to hang their favorite dress up clothes. One of my favorite parts of the space is the rotating art gallery. My girls love to paint and draw. We incorporated a chalkboard and bulletin board to the art wall to pin up current art projects. Magnetic frames allow me to rotate out pictures as the girls create them. 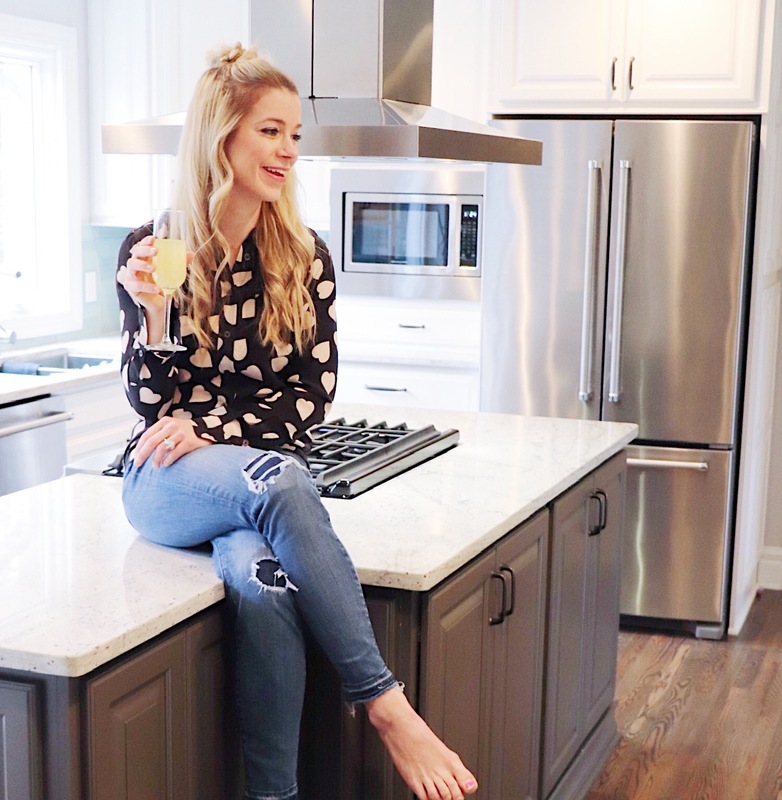 Lauren truly made a space that is not only pretty and functional, but also sustainable. I cannot tell you how nice it is to have an organized play space for the girls and it has quickly become our favorite place to hang out in. Similar Neon Light found here. Machine Washable accent rug found here. Kids art display frames found here. Blush Cubby bins found here. Hello 2019 and Hello Mamalutions! 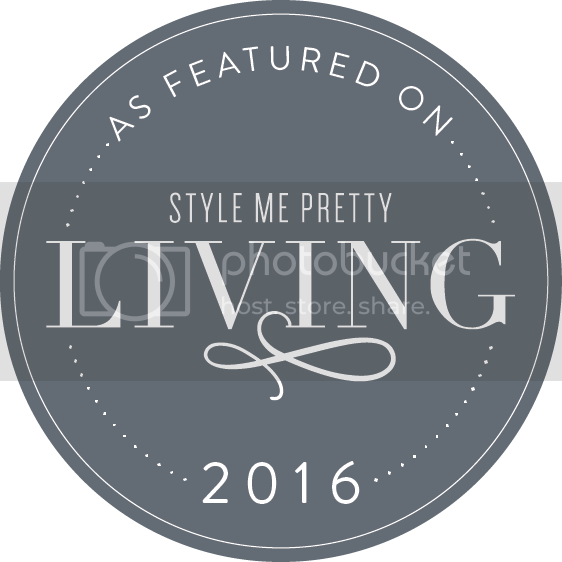 I am trying a new strategy this year and I am encouraging all my mama friends to join me! This year I am setting small little resolutions that I am feeling very confident that I can achieve. When it comes to creating goals for the new year, I’m as guilty as the next mom of being overambitious. In years past I have made goals of getting a six pack, not shopping online for 3 months, or cooking at least 5 nights a week. 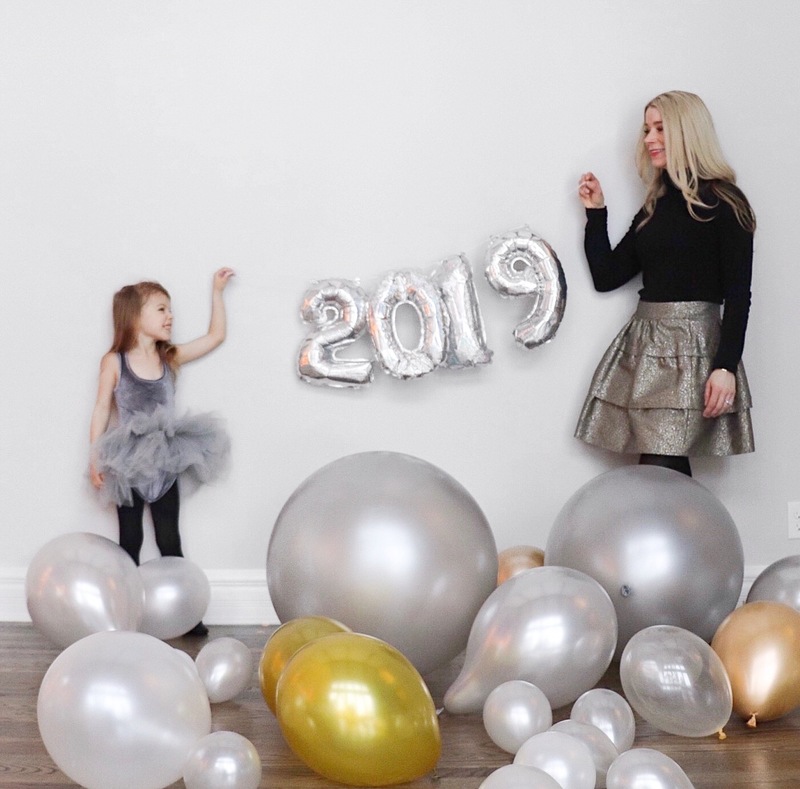 All of these seemed like great goals, but with the complexity of kids, life, work and more…truly sticking to these resolutions was near impossible. 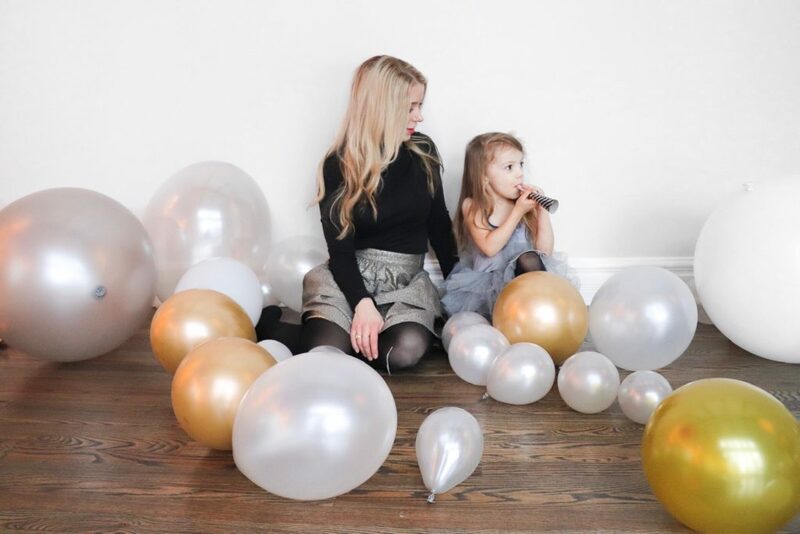 As a working mom with two busy girls, Ive decided that I’m not setting myself up for failure this year, I have decided to set small goals this years that I can actually achieve. Take More Family Photos I know this one sounds a bit silly, but with a husband that travels so much I realize I hardly get any photos of all of us! Being Present Leaving my phone on silent and in the bag when I go places with the kids. Read More Spend an evening reading. Stop Complaining About Picking Up. 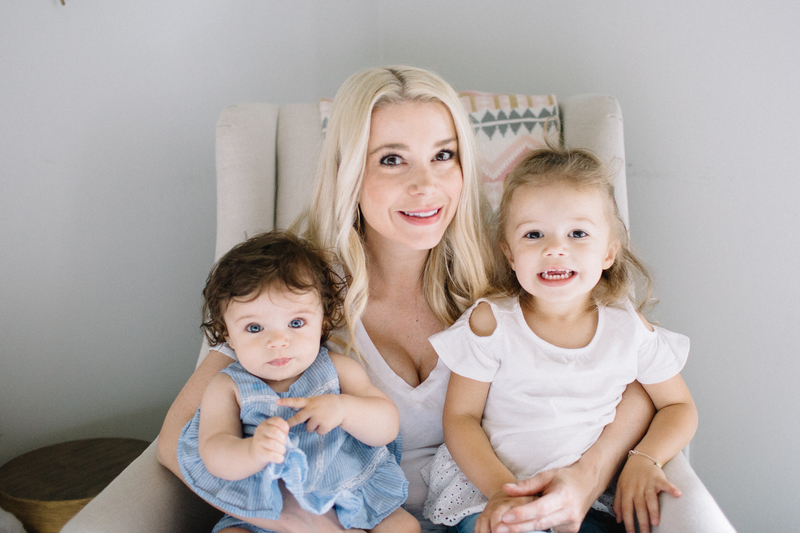 Being a mom is not easy and our kids are never going to be neat and tidy, so roll with the punches and realize that yes sometimes its going to be dirty, crazy and nuts. Happy new years mamas and I would love to hear your Mamalutions for 2019. Moving to a new house with two toddlers has been overwhelming to say the least. As many of you know we have been looking to move out of our cozy condo in the city for quite some time, but really never found a place that was the perfect fit. When a updated tudor came available, my husband and I instantly fell in love. Next thing you know…we were moving a month later. Eeek! One of the hardest parts about moving is getting organized. Adjusting to a new space with new storage areas was so overwhelming. I felt like nothing had a place and I couldn’t begin to wrap my head around where to put everything. 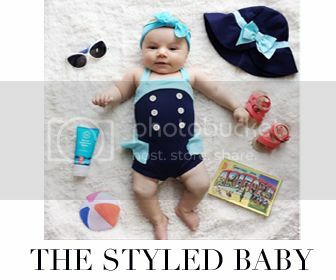 I was thrilled when I discovered Style + Dwell. 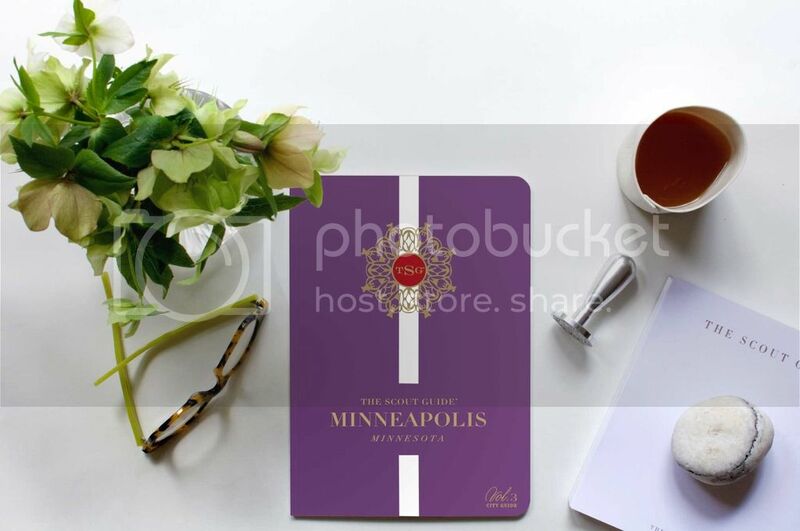 A local organization team that helps design beautiful but functional spaces. The largest problem area of our new home was our kitchen with pantry and the connecting mudroom which is also our laundry room. 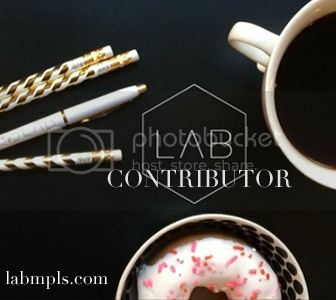 Since this space serves so many functions, I had no idea how to organize or maximize the space. 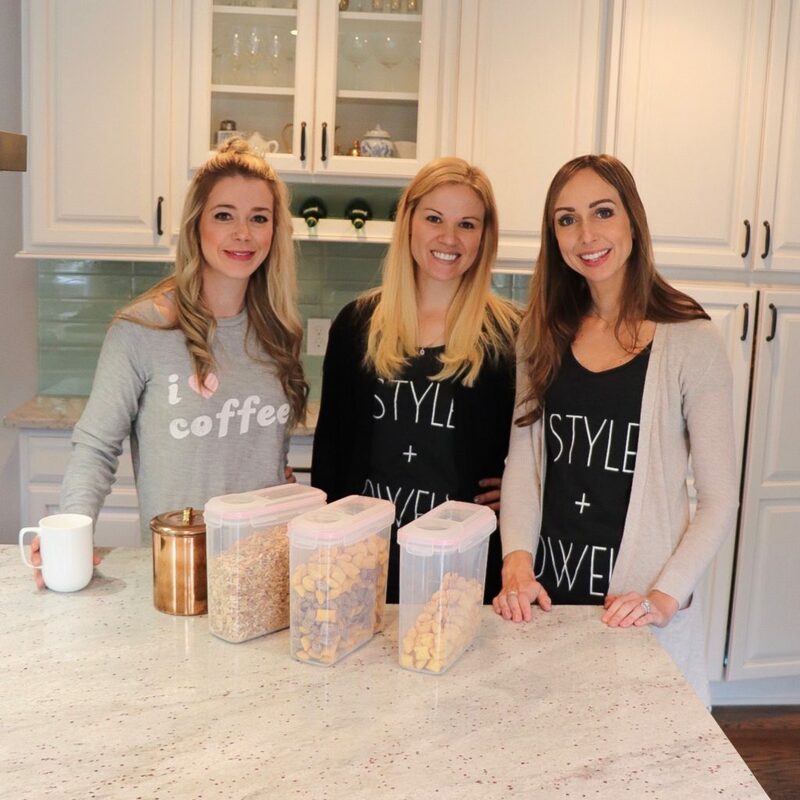 I was so excited when Lindsey and Ashley with Style+ Dwell came to see this space and instantly had a vision on how to organize the space to be fully functional. They fully designed and implemented a custom solution that was not only beautiful but also effective and sustainable. From the snacks we eat, to a specific place for our breakfast items, and to an area for the girls to throw their wet boots and coats, it feels so great when everything has it’s place. Daily life in our new home has become more organized and our morning and evening routines so much easier. 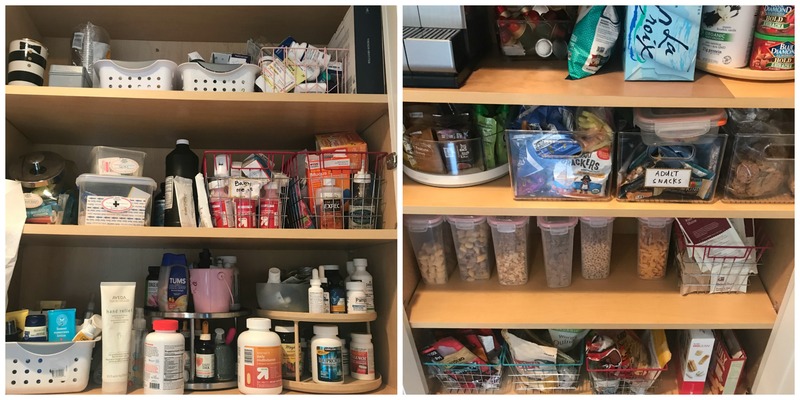 One of my favorite spaces they organized is our pantry. 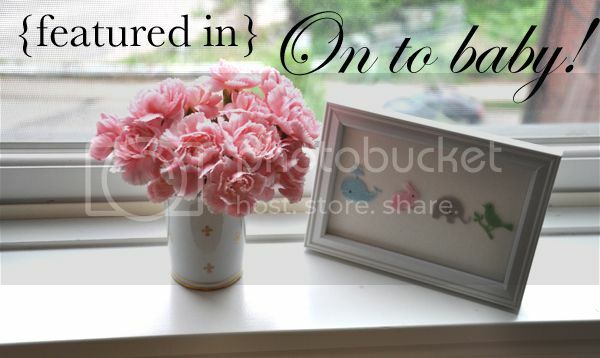 Everything looks so pretty and has a place. The also introduced me to so many great products that has really helped me keep everything nice and tidy. White Bin basket clips found here. 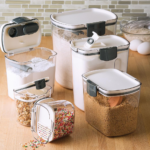 Bakers Storage Bins found here. 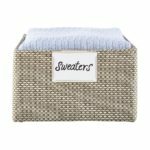 Water Hyacinth Storage bins with handles found here. 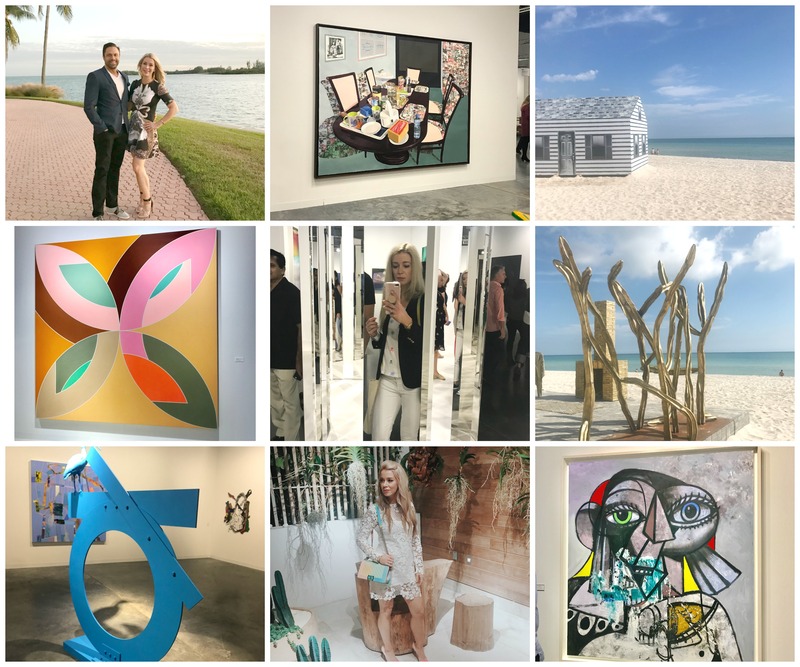 As a busy mom of two, Art Basel week in Miami is a chance to recharge, sleep and connect with friends from all over the world. 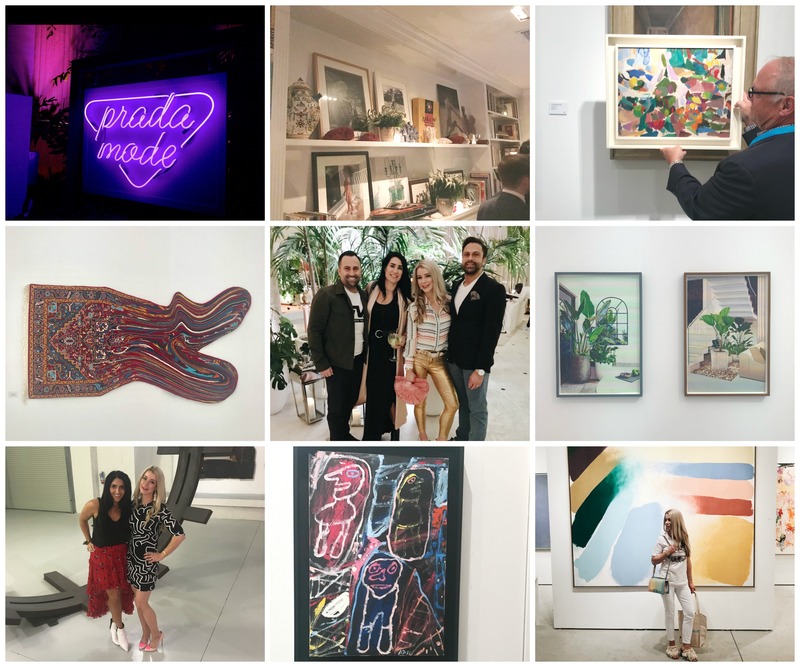 From the Prada Mode house, the FitHouse Pop-up, Surf Lodge Happenings, the Hauser + Wirth event, Faena beach show and more… Art Basel 2018 was a beautiful week. Whether you are an art collectors or not, there is something for everyone in Miami during this week. I can’t wait to share with you all the interesting things we saw! Here is a sneak peek of some of the highlights from Art Basel 2018. 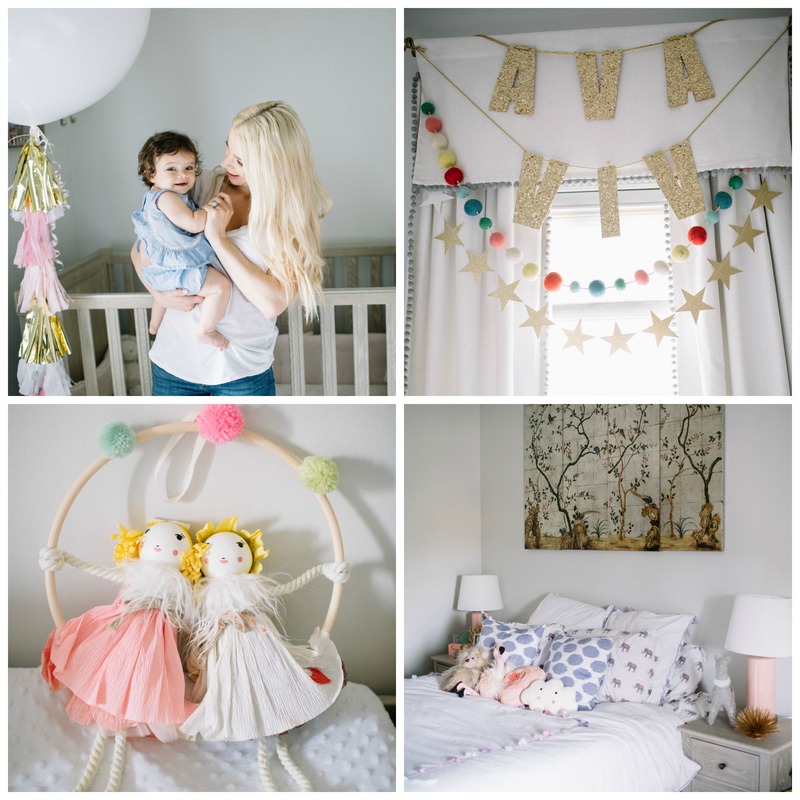 I am excited to share with you my nursery redesign for Ava and Viv’s room. 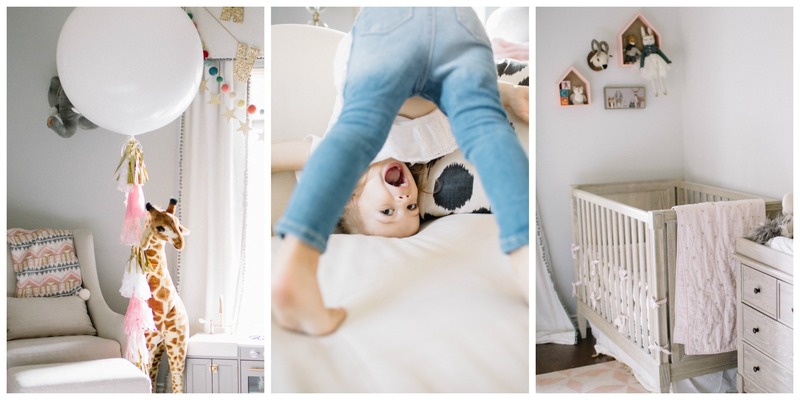 I wanted the nursery to capture their playful personality, so I went with a white, bright backdrop and added pops of color. 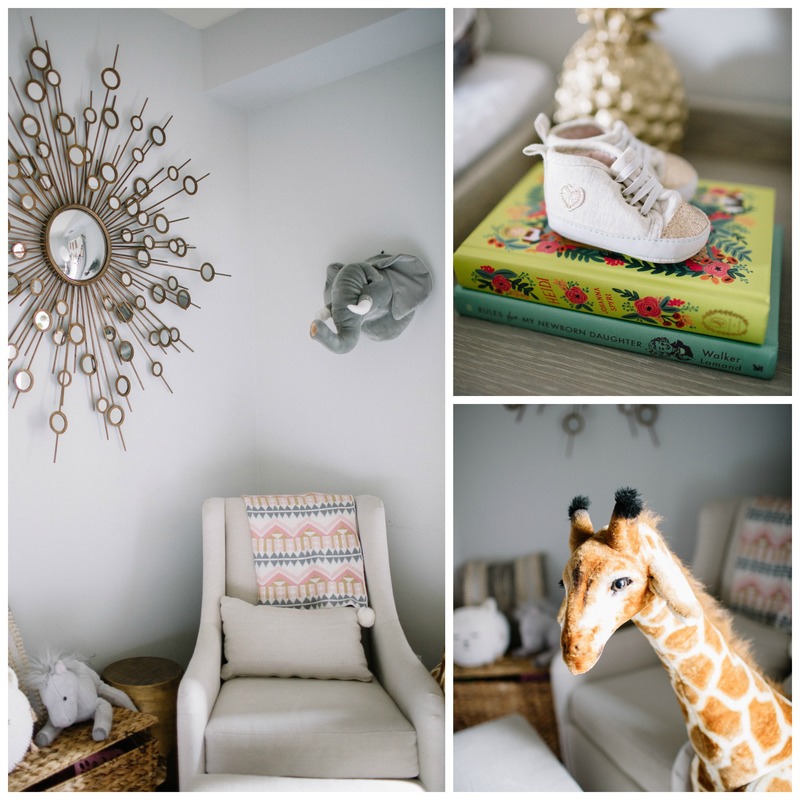 When planning their nursery I originally thought I would stick to a neutral palette but after discovering a pair of beautiful rich violet ikat pillows from Furbish Studio, I decided that I wanted to add more touches of color. 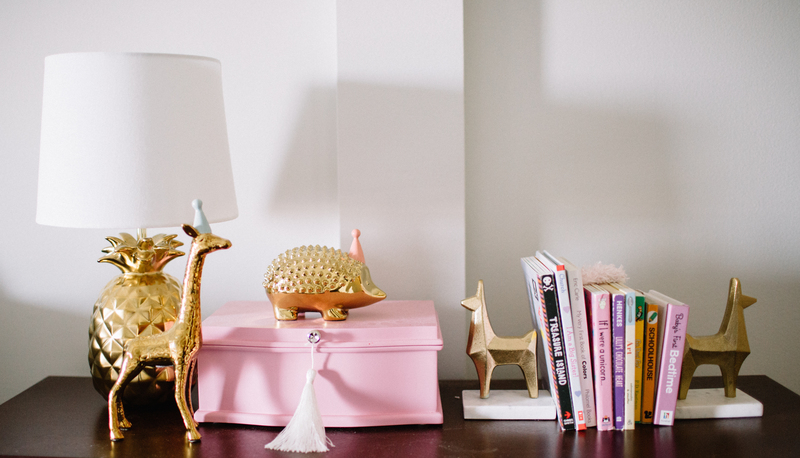 I started to incorporate touches of pink, gold, pom-poms and textiles to create interest within the room. 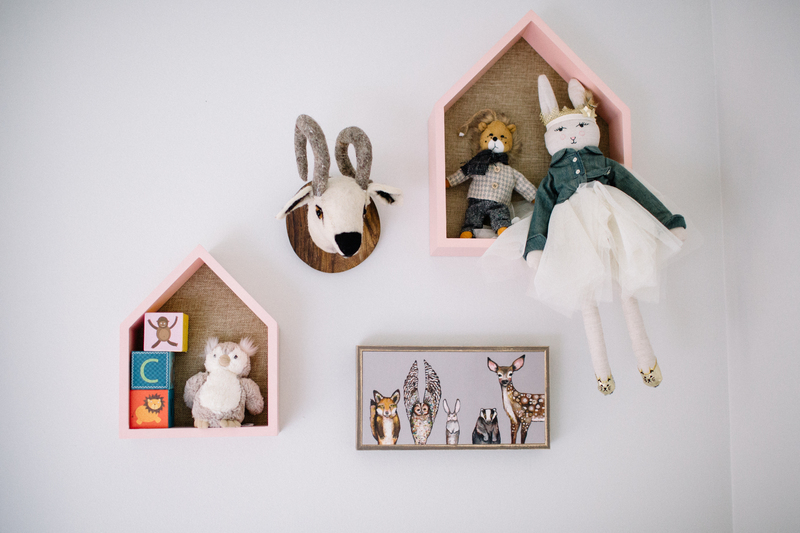 My oldest daughter is a huge animal lover, so incorporating animals was also an important part of this space. 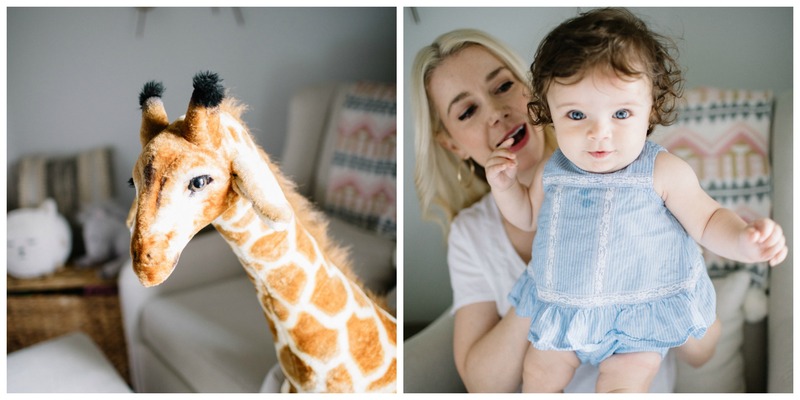 From the fun Oh Joy gold animal figurines to the large plush Melissa and Doug giraffe, I have slowly been adding and incorporating animal decor items as I find them. 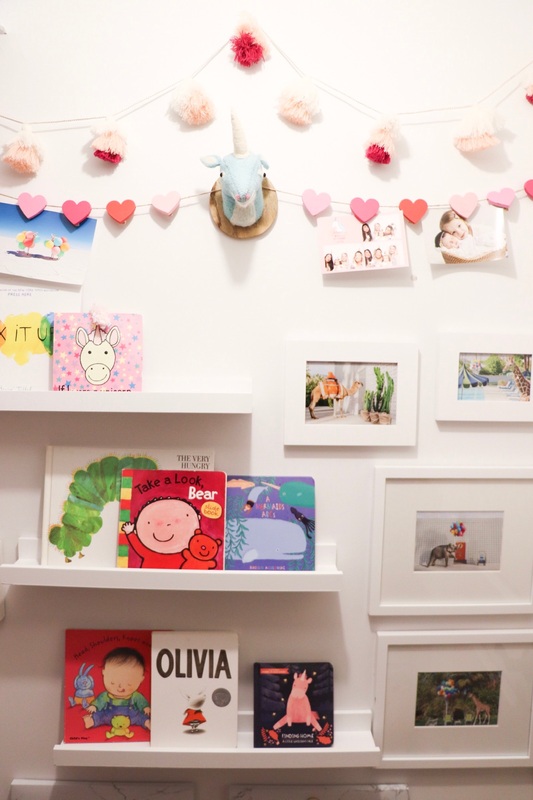 This room serves as our nursery and playroom so having great storage was essential. Attached is a huge walk in closet that has plenty of baskets and buckets (not pictured). 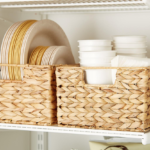 This allows us to keep this small multi-functional space clean and tidy. 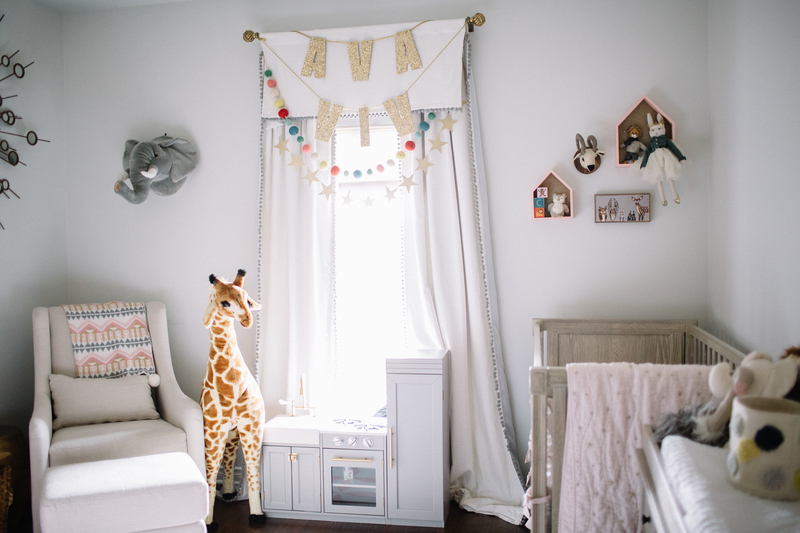 I am excited to add more items and further style this room as my girls grow. 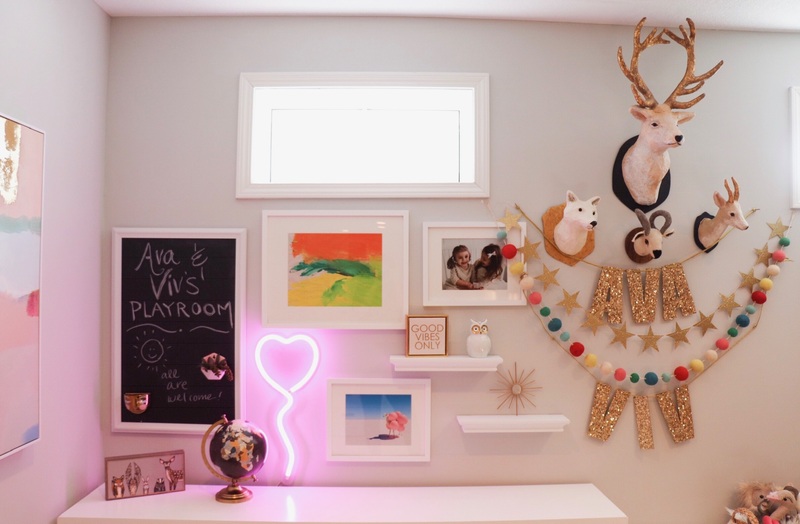 It has been a joy creating a playful space for my two girls.